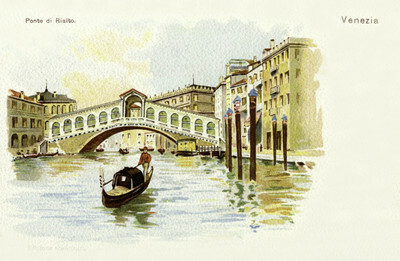 "Venice – Ponte di Rialto"
One color postcard with an undivided back. The postcard was published by A.e. Fiecchi in Venice, Italy and printed by A. Scrocchi in Milan, Italy.